With the exception of the Authors page, the site is reasonably decent now! In its previous iterations the Two-Fisted Fantasy site hosted a store and a forum, and these have been removed, along with all the user data related to those things. So if you entered any personal data on this site it has been permanently deleted and is therefore safe. So I hope you like the new Two-Fisted Fantasy site. This will be where I post most of the gamebook stuff I do online – I won’t be using Facebook anymore and KickStarter will only get an update when the next book is complete (don’t worry, I’m not launching another campaign there, give your wallet a rest). So come here for news on The Wizard of Warlock Tower, and to post at me if you want to. Hey! 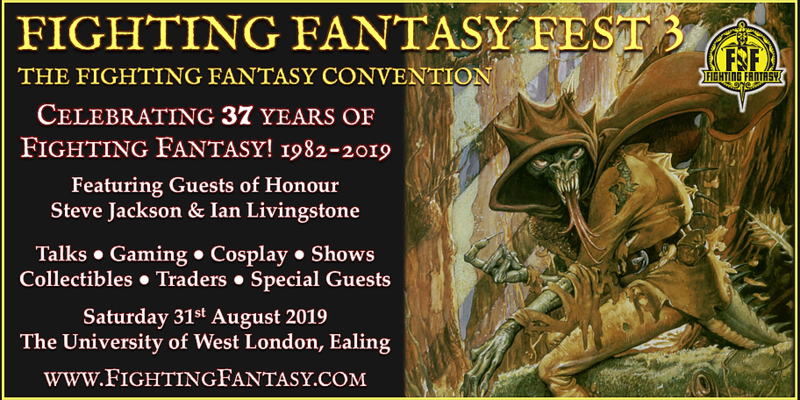 I will be attending Fighting Fantasy Fest 3 on Sat. 31 August at the University of West London. I was at the last one too, it was a lot of fun. This time I’ll have copies of Elf to sell, a few Star Bastards and whatever else I manage to get done between now and then. See you there I hope! More details are here if you want to grab a ticket. 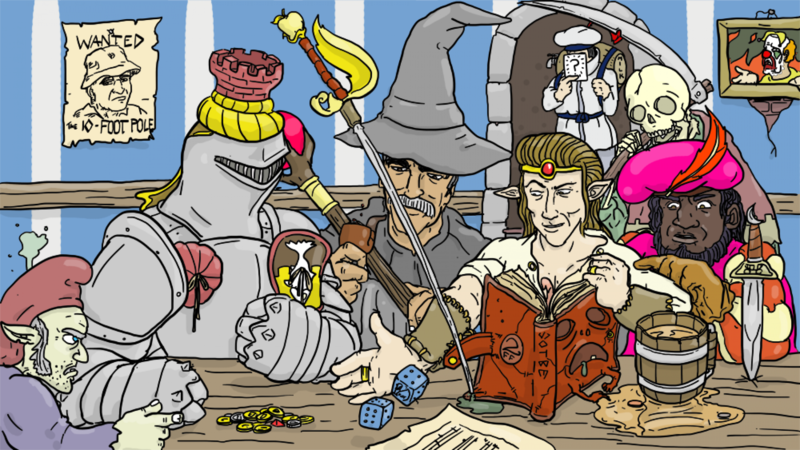 Two-Fisted Fantasy is moving its online activity here so i’m setting up this page to be a little more useful and a lot less ugly. Please bear with me it might take a couple of days.